Port district hopes to have an open lane available to boaters as soon as possible. SAN DIEGO — Boaters still cannot access the water from the Shelter Island Boat Launch Ramp, despite the local port district reporting progress in construction. The launch ramp has been closed since May of 2017. 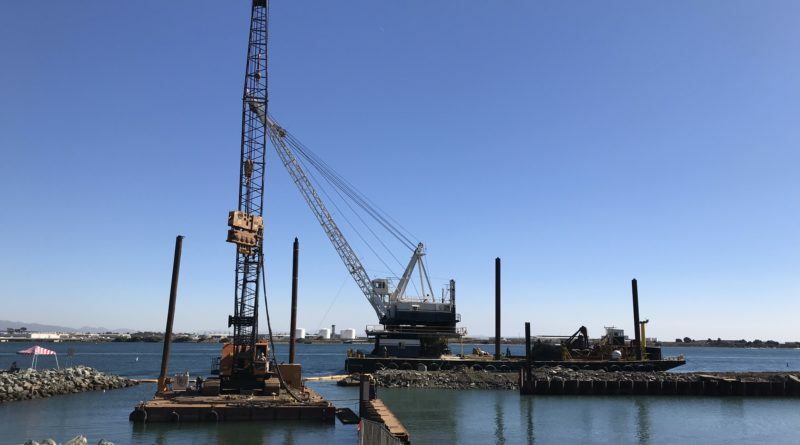 A spokesperson with the Port of San Diego stated the boat launch ramp will remain closed through the entire month of August, though efforts are being made for at least one lane to be opened as soon as allowable. Port district officials did state the launch ramp’s breakwater wall is being completed. Placement of the new concrete boat ramp is also being worked on right now, according to port district staff. The floating docks and gangways on the eastside of the launch ramp have yet to be installed, though work on this element should be underway soon, if not already started. Port district staff added the new boat launch ramp would be safer and more navigable. The basin, for example, would feature a larger maneuvering area with longer board floats. Updates on the project and a list of alternate launch ramps in the San Diego area are available at portofsandiego.org/sibl. Spin from the SDUPD. In 2011, China built a 30 story hotel in 15 days, but the Port of San Diego can’t rebuild a launch ramp in a year and a half (at least)! Check out the list of alternate launch ramps – Oceanside??? Five in Mission Bay?? How do these help the upper San Diego Bay boaters and merchants? The three available San Diego Bay facilities are all in South Bay…unless you are in the military, or are throwing a kayak or SUP into the Bay. The total lack of culpability or accountability is what makes this drawn-out debacle so maddening . Always spin or excuses, never any responsibility. How long does anyone think that this project would have taken, had it been a private business tasked with upgrading their facilities and keeping their customers happy, all the while keeping a sharp eye on costs? Three months? Six months? Here we are 14 months out from the awarding of the contract and we STILL don’t have a completion date! Hang in there fuel docks, bait & tackle shops, delis, boatyards, service providers, chandleries…..the Port is going to bring your lost business back any day…er, week….er, month…..er, year now! I agree with Mr. West’s comments, sorry state for San Diego but they are just following in step with California in general.